Once again my bin of empty products is full and I have some makeup and beauty items to chat about. This is today’s pile of products! Lets start with some hair care! #41 Garnier Fructis Strength & Shine Conditioner: This one remind me of my teenage years because this shampoo and conditioner was quite popular at the time (at least where I grew up). I am not sure this combo did anything special besides cleaning my hair and adding some moisture, which is kind of OK for a product like this I guess. It’s super cheap so I may pick it up again. #42 Garnier Fructis Strength & Shine Shampoo: Same thing as the conditioner. #43 Garnier Respons Caring Mask: I like this hair mask. I feel like it gives a bit of extra moisture and the hair was smooth and shiny after use. I could se myself picking this up again. As always, I have some body lotions. I think on average I will go through one jar or tube every week! #44 Haus Of Gloi Pumpkin Butter “Ghost Puffs”: If you have been reading these posts for a while you know what I think about the HOG Pumpkin Butters-. If not, then let me tell you that they are the best thing ever! This one smells rich and intensely sweet of bonfire and marshmallow. #45 Haus Of Gloi Pumpkin Butter “Moon Dog”: This one is off course the same as above, just a different scent. This one smells like coconut, sandalwood, nutmeg and clove. Just lovely. Will for sure pick up again! #46 Pretty Smooth Intense Body Moisturizer Cocoa Butter: Simple and almost scent free lotion. A bit more light weight than what I prefer but it’s so cheap I may just grab one again when I see it in store. With my heavy use of body lotion I guess it’s good to have some cheap options. #47 Rituals Good Luck Scrub: This is an oil base sugar scrub. It’s just how I like them. Gives a ton of moisture and a nice rub. Not too harsh, but still plenty of sugar so I don’t have to use too much product at the time to get the scrub I want. And the scent is just divine if you like orange scents! I will for sure pick up this again! #48 Pyunkang Yul Moisture Ampoule: This is one of the products I picked up a while back when I was completely addicted to Korean skincare. This gives a lot of moisture, but the oil is so thick that the little dropper has a very hard time picking it up. I want buy it again just because the packaging is so unpractical. The product would work a lot better with a pump. #49 Catrice Liquid Camoflage High Coverage Concealer: This one makes me so sad, because I don’t know anywhere I can buy Catrice anymore that ships to Norway! This concealer is amazing and so cheap, I would for sure pick it up if Catrice was available to me. I simply don’t know where to find a new one. #50 Lancôme Grandiose Liquid Liner: This one was OK, but not good enough to repurchase since it’ quite expensive. It’s very precise and easy to apply, but I wish it was a bit more black actually. So, as usual I will add these product to my summary. I think it’s fun to see how much in each category I actually finish! Face Care (cream/cleanser/toner/oil/essence/serum etc): 6. Eyeliner (gel, liquid or pencil): 2. Did you finish something fun lately? It just happens to be so that I have 10 more empties to share with you again. Moving houses and focusing on finishing products before we move instead of continuously replacing things really made my empties pile grow large fast. These are today’s empties! A bit of everything here from skincare to haircare and even some makeup items. I always find it so satisfying to finish a makeup item. #31 – Pure Life Papaya Conditioner: This one smells divine. It’s maybe a little bit too light for my taste. I would like something a little more nourishing but if my hair don’t need too much TLC at the moment it works just fine. Would kind of be worth to pick up again just because of the scent. Also super handy that it’s a pump! #32 – Rituals Fortune Oil: Shower oils are a great alternative to shower gels when the skin feels dry. Rituals shower oils are great, and I love that also this one comes in a pump.The scent is amazing, and if you like sweet orange you need to try this! #33 Simple Foaming Cleanser: A very light weight foaming cleanser. It id not strip any moisture from my skin, but it also did not feel like it cleaned all that much. I felt like I had to remove my makeup properly before using this, because this would not take the leftovers. But besides that it was OK. I don’t think I will but it again though. #34 Dove Summer Revived Body Lotion With Self-Tanner: I have talked about these before. I picked up 4 of these body lotions because they were on sale, not being aware that they were self-tanners too! Not in a good way though. In a patchy orange way. It gave off so little color so if I just used it one day here and there it did not give me any color so I could luckily use them all up. But now I am finally finished with this one being the last one of those 4 I got. I will NEVER buy this again! #35 Nature Republic Himalaya Salt Cleansing Balm: I don’t know how many of these I have been through by now. but it’s a really good cleansing balm that removes even the most stubborn makeup. I already have a new one opened, and an additional one in backup! #36 The Boy Shop Ethiopian Honey Deep Nourishing Mask: Great for giving a lot of moisture, but I kind of feel like I get just as much from a sheet mask for a fraction of the price plus I won’t have to wash it of. I don’t think I will buy this one again, but with that being said I don’t think it is a bad mask, I just got my moisture needs covered by sheet masks, but I would not mind trying some of the other masks from The Body Shop. #37 Haus Of Gloi Pumpkin Butter “Hex”: These are still my holy grail off course. And the scent is absolutely divine. It’s fruity and sweet but in a dark way if that makes sense. A sensual kind of fruity and sweet instead of girly fruity and sweet. It smells like fall, not like summer. I have two back-ups of this! #38 LUSH Rose Jam Shower Gel: This one smells so divine. However it’s intensely sweet and I had this for three years or so before I could finish it. I would love to pick up a new one next year. LUSH usually release this around Christmas every year. I do think a small bottle would be enough though. #39 Makeupgeek Gel Liner “Immortal”: I had this for ages. It’s actually quite impressive that it did not dry out. The product is discontinued and has been for some year at least. I did really like it though, so I hope they bring out a new one. #40 Smashbox Studio Skin 24 H Waterproof Concealer: I like this but I did not love it. I think maybe it was a bit on the pale side for me and that’s why it did not cover as nicely as I would like it too. So after adding this to my summary of products these are the stuff I have empties so far in 2019. My goal is 200! Face Care (cream/cleanser/toner/oil/essence/serum etc): 5. Eyeliner (gel, liquid or pencil): 1. That brings the total amount of empties to 40! Did you finish anything fun lately? Or do you have a goal for how many product you want to get through? Trash Talk – Beauty Empties! Time to do a summary of how I liked my recent empties! The procedure is the same as with all these posts! 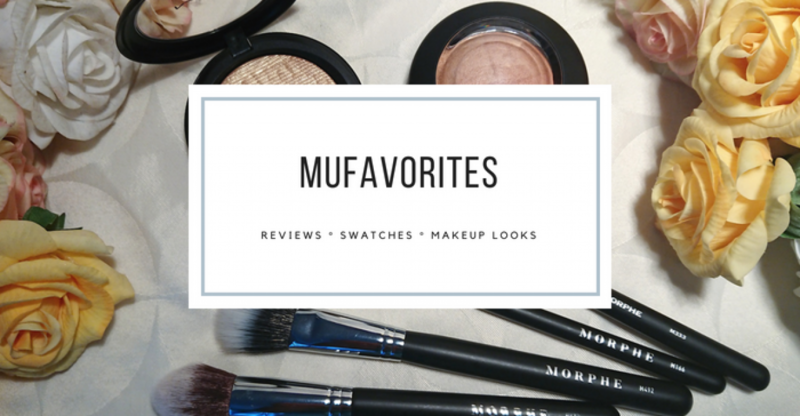 I will talk about each product individually and give a little mini review of all of them. There are the products we will go through today! A little mixture of haircare, bodycare and makeup items this time too. As usual I will number them. The original idea was to reach 200 products, but that was much harder than I expected. I guess that’s not a bad thing. Why use more if you don’t need to? #143 – Co Lab Dry Shampoo “Unicorn”: I usually reach for Batiste when I buy dry shampoo, but this unicorn scented one sucked me in. I was so curious about what unicorns smells like! Turns out I really like this one. Batiste gives more texture to the hair, but if you don’t want that this one is a great option. My hair felt clean and refreshed and I could not see any white cast. If I have to use a lot of dry shampoo I sometimes feel like the Batiste one gives too much texture so that the hair feels a bit sticky. With this one that was not an issue. I will for sure pick up Co Lab again, but maybe another scent. I am not sold on unicorns after all. #144 – Heimish All Clean Balm: This is a great cleansing balm that melts to an oil and remove makeup very efficiently. Have gone through many many jars of this, and I can absolutely see myself picking up more. Works wonders without being too expensive. #145 – Bella Lucce Argan & Acacia Rich Body Creme: The body cremes form Bella Lucce are so luxurios and good I would happily pick this up again. Sadly the line is discontinues. Such a bummer because it was among my favorite body care lines with spa quality. #146 – Rituals Shanti Shower Soothing Shower Oil: Nice, hydrating rose scented shower oil. Shower oils are excellent to prevent dry skin after a shower. I love that this one comes with a pump. Will pick up another one of these! #147 – Rituals Brilliant Bliss Nourishing Ultra Shine Shampoo: This one really does leave my hair nice and shine. I do however miss a bit of volume when I use it. It’s not a bad shampoo, I just think my hair needs something slightly different, and I am not sure if I would pick this up again. Maybe is my hair change. #148 – Rituals Shikakai Secret Nourishing Ultra Shine Conditioner: This matches the shampoo. Give a lot of nourishing and shine, but makes my hair a bit flat. I need something that also helps a bit with volume. #149 – Mario Badescu Facial Spray: I tried using it as both as facial spray and as a finishing spray for makeup. It did absolutely nothing for me. But the good thing about sprays like these are that you can use them to dampen your makeup brushes so you don’t have to waist your good stuff. Will not pick this up again, and honestly I don’t know why so many rave about this. Scented water in a bottle. #150 – Clarins Lip Comfort Oil: I really liked the scent and how it felt on my lips in the beginning. I even had it in my monthly favorites over a year ago or so. But as time went by I figured it was kind of over priced for what it is. I mean, the product is good, but I have cheap lip balms that are just as hydrating. I don’t think I will repurchase. Did you try any of these products? What are your thought on them? Let me know in the comments! I have a hard time keeping myself updated on these posts. I feel like I constantly have a new one ready to go. It’s fun though, and it’s a nice way to get a few mini reviews out fast! I had a goal to reach 200 empties this year, and even though I feel like I constantly empty something I see that I will have a hard time reaching my goal. Oh well, maybe next year! But let’s got through my beauty trash and have a look at what I’ve finished! First some hair care stuff! #135 – Redken Frizz Dismiss Smoothe Force Conditioning Spray: Holy grail moisturizing spray to use after every shower. This one has been one of my go-to hair care products for over 3 years now. I have been through countless bottles, and there will be more! #136 – LUSH R&B Hair Moisturizer: This one I had for a very long time, and to be honest I’ve struggled a bit to finish it. It’s a bit too heavy for my hair, and I have to use just the tiniest bit for it to work for me. That comibined with the fact that I didn’t love the scent made it a long process. I think this is more suitable for peolpe with thick curly hair, and it was a bit too much for my nordic curls. #137 – KMS Add Volume Hair Spray: I just picked up this little sample to test it out. If you read my November Haul post you probably already know I like this because I just picked up a full size bottle. It gives volume while making my hair smell and feel almost clean again! #138 Haus of Gloi Pumpkin Butter “Spider Silk”: The pumpkin butters from Haus of Gloi always will be my favorite! This is in the fresh delicious scent “Spider Silk” which is one of their fall scents. I already have a new jar of this, among my large Haus of Gloi collection. #139 Bella Lucce Arabian Odyssey Nourishing Sandalwood & Almond Creme: This is a beautiful formulated body butter that feels very luxurious and give just the right amount of moisture for me. The scent is also sweet, warm, oriental and cozy. Sadly this brand does not exist anymore, which is kind of heartbreaking. I would for sure repurchase if it was possible. #140 Bomb Cosmetics Cranberry & Lime Oil Based Body Scrub: Loving this! You can read the full review here if you want to know more. I will pick up another one of these for sure! #141 – Missha Super Aqua Refreshing Cleansing Foam: This one was OK, but not great. It does the job and the skin feels clean, but it also makes me feel a bit tight and dry. Nothing my facial cream can’t fix, but there sure are better cleansers out there so I rather pick up something else. #142 Revolution Conceal & Define Concealer C4: Love this concealer! I have already mentioned it among my top 5 concealers. I already got a new one of this that I started using. It’s just a fantastic formula for such a reasonable price! Let’s Talk Some Trash Again! As usually when I refer to trash talk, I mean actual trash, more specific makeup and beauty trash. Once again I have a small pile of products to go through with you. I had a goal to reach 200 empties this year, and that’s why I’ve been numbering them but I think that goal may have been a bit too high. I am not going to try to use products faster just to reach it either. That would just be waistful. So these are the products we will go through today. Do you spot anything you like? #121 Batiste Dry Shampoo Tropical – I really like Batiste dry shampoos. they really do get the job done, and in the mean time they give some texture and volume to your hair. The downside with this one is that it does leave a white cast in my dark brown hair. I do prefer the ones for brunettes, and I will pick that one up soon! #122 Yves Rocher Velvet Shower Cream “Coffee Beans” – This really just smell like freshly ground coffee beans in a sweet way. The scent is absolutely divine! I will absolutely get another one of these next time I decide to do and Yves Rocher order (which is unfortunately not that often, but I should consider making one soon). I think this is my 4th or 5th bottle of this! #123 Laneige Lip Sleeping Mask – I bet you have heard all the rave about this many times before. I did like it. It felt very moisturizing. I may pick this one up again. The only drawback is that I can’t get this in store where I live, but I have access to plenty of other ones in store. Chances are I am more likely to pick up something that is more available, but absolutely a good product though! #124 Eylure Lash Glue – The glue itself works well enough. But the tube looks absolutely disgusting after a short times use and I considered binning it half way. I made it through, mostly because I was too lazy to pick up another lash glue. #125 Maybelline Master Drama Kohl Pencil “Ultra Black” – This one is mentioned in a huge amount of product lists underneath my makeup look pictures. This is my go-to when I need a black eyeliner. I already have a new one opened. This is one of my holy grails that I need on hand at all times! #126 Haus of Gloi Pumpkin Butter “Zazz” – This is so good! Like all the pumpkin butters are. If you haven’t tried them already you are missing out! This one smells like sparkling champagne and frizzy sweets. It’s so strange but it smells exactly like that to me. Very sparkly, summery fresh and sweet at the same time. This scent makes me happy! #127 Haus Of Gloi Pumpking Butter “Twice is Nice” – Same goes for this one, the lotion is just lovely. The scent is lovely too, and I’ve been trough many jars of this exact one. It’s also sweet like the previous, but richer and deeper with tones of coconut, sugar cookie and almonds. #128 Dove Summer Revived Gradual Tanning Lotion – I’ve talked about this before. I picked up to less than four of them on sale believing they were normal lotions (note to self; look at what you are buying!). When I started getting a weird orange hue to my skin I realized it was a gradual tanner. But the color is orange and it fades awfully patchy. After one or two days the color is almost not visible though. So I was able to finish it by just using it a bit here and there and it didn’t really give me any color after one use. I will not buy this one again though! Did you finish anything fun lately? Or have you maybe tried any of these products? What are your thought on them? And No, I am not referring to the ridiculous amount of drama going on in the beauty community right now. I am talking about my undramatic empties that I finished lately and want to share with you. And I reached over 100 empties so far! I am quite happy with that, although I see people who count empties finishing 200-250 products a year, and it looks like I am not even close to that. I was under the impression that I went through products like wildfire, but I guess it’s not that bad after all. These are the items I’ve finished. The apple is an eye catches isn’t it? We will get to that in a moment! #106 Yves Rocher Energizing Bath & Shower Gel Lemon Basil – This has such a nice fresh and herbal lemon scent, I sometimes feel like lemon scented products can remind me a bit to much about dish washing soap, but this one has a lovely authentic scent. I am sure I will pick up a new one of these! #107 Skinfood Truffle Age Defying Cream – This really smells like truffles! It’s a nice rich cream that I’ve been using as my nighttime moisturizer. I think it is a bit too heavy to use for daytime. It gives my skin tons of moisture and I did really like it. I may pick up this one again, but not immediately, partly because I still think I can find something better. #108 Tolymoly Appletox Smooth Massage Peeling Cream – The packaging is so cute. Yes it’s a bit cheap and childish looking, but I also think it’s kind of cute. Besides not that it’s empty and washed it can double as a toy. I now a 4-year old who loves playing picnic and I think this will be something she would like. I did really like how it worked too. My skin looked so clear and refreshed after using this. And every time I felt a bit grey or dull, I reached for this and put on a mask afterwards and that usually helped a lot. I may pick this one up again soon! #109 Missha Deep Clear Cleansing Balm – Today is the day for Korean empties I guess! I do love testing out Korean skincare though, because they have so much cheap and good stuff. This was a nice and efficient cleansing balm that did the job very satisfying. A fresh citrus scent match the nice bright orange packaging well. I would not mind buying this one again, but the Heimish one is still my favorite. #110 L’Oreal True Match Concealer – This was in my project pan 2018, and I am happy to see it empty because it’s been a long road. The shade is slightly too dark so I could only use this a few weeks in summer. Needless to say it’s a few years old and probably past expiration date. The formula was OK, but it didn’t do anything special to me. I have so many others I prefer so I won’t pick up this again. #111 Maybelline Eyestudio Lasting Drama Gel Eyeliner 24 H – This one you’ve probably seen a lot because it’s been on the list of products used in a makeup look almost every single time. This is a great great gel liner. It’s very black, applies easy and has great staying power! I will pick up a new for sure, I just have another old one I want to force myself to finish before I pick up a fresh new one of this! #112 The Ordinary Lactic Acid 10% + HA 2 % – Great skincare at an affordable price. I am all here for it! And The Ordinary really have some great products. I really did like this one too. It’s a nice peel I’ve been using a few times a week before bedtime and it seems to actually be working. I mean, I can feel it working, and it prevents clogged pores. Already got a new one in my bathroom ready to go! #113 L’Oreal Paradise Extatic Mascara – This is my second tube and it wont be the last. It’s just as good as people say, and I have yet to find another drugstore mascara I like just as much. I haven’t picked up a new one yet but I will, and in the mean time I will be missing it. Great great mascara! Did you finish something fun lately? And if you also do empties post just pop a link in the comments and I will have a read! Remember you can also fin me on Bloglovin and Instagram if you want to!